Khoa Mun Gai is well known as a Thai street food Served everywhere in Thailand. It is a simple and yet flavorful dish to make. Heat a wok or the largest skillet you can find in your kitchen on medium high for 30 seconds, add olive oil. 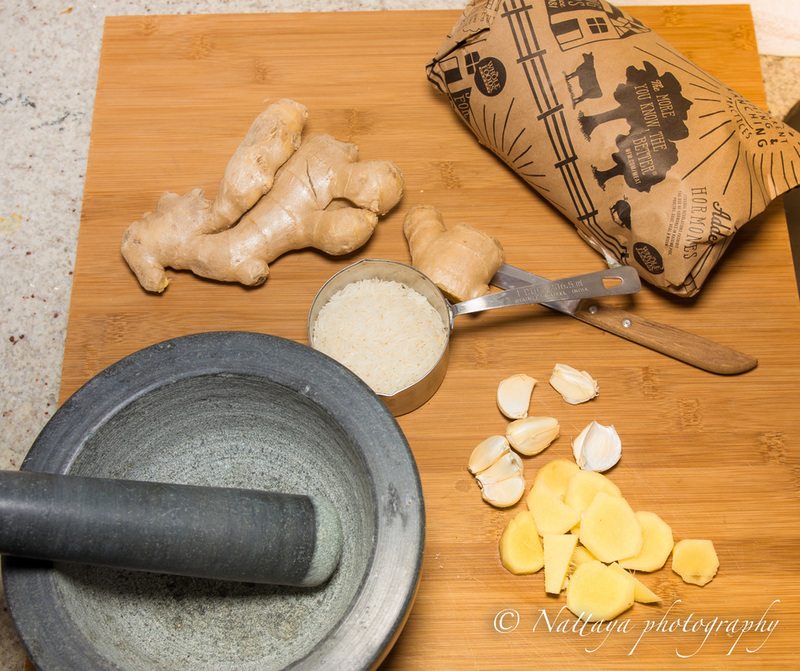 Add garlic, ginger and salt, and keep stirring for about 2 minutes or until fragrant. 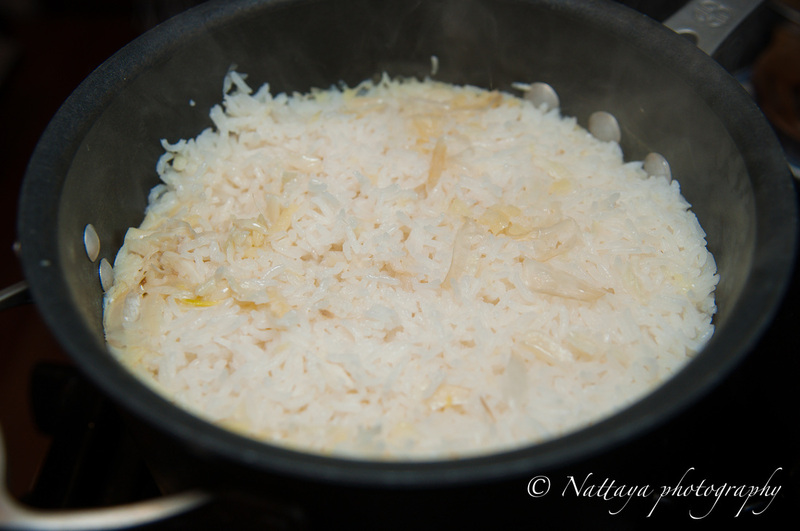 Add Jasmine rice and keep stirring for about 4 minutes, making sure half of the rice cooked ( once rice color re change to darker white ). Copyright © 2015 All Rights Reserved · Natty's pantry Khoa Mun Gai is well known as a Thai street food Served everywhere in Thailand. It is a simple and yet flavorful dish to make. The star of this dish is the combined flavor from the chicken, garlic and ginger. 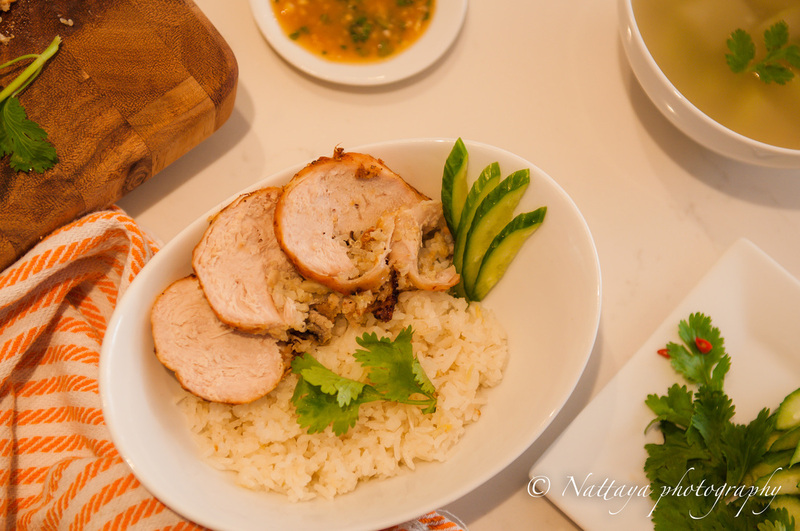 The rice preparation is topped with steeped chicken a side of fresh cucumber, cilantro and opo squash cooked in chicken stock and tauchu sauce ( Yellow soybean paste ).